into nests, fumigating nests, recording data, and more. 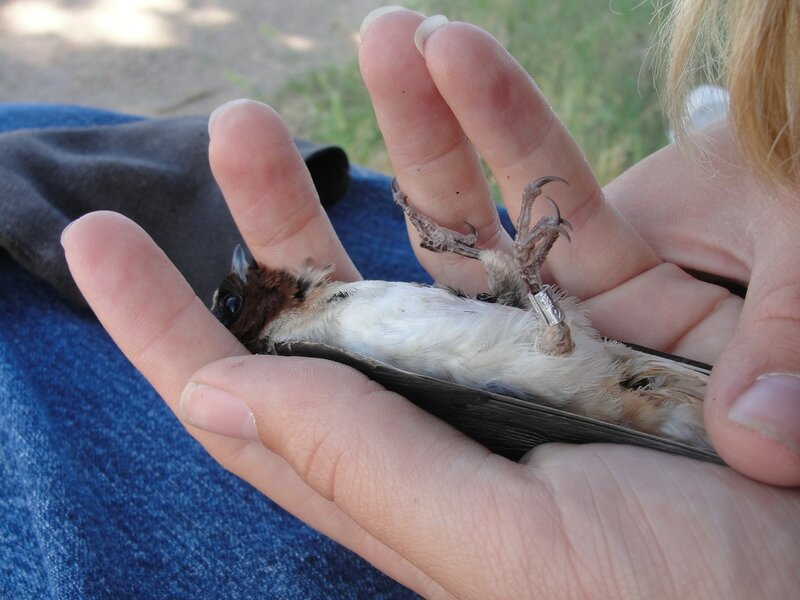 The Cliff Swallow Project takes place in western Nebraska, primarily in Keith, Garden, Morrill, and Lincoln counties. Much of what we've done over the years has relied on capturing cliff swallows, banding them, and following them over their lifetimes. To do this, we have to catch them in nets. 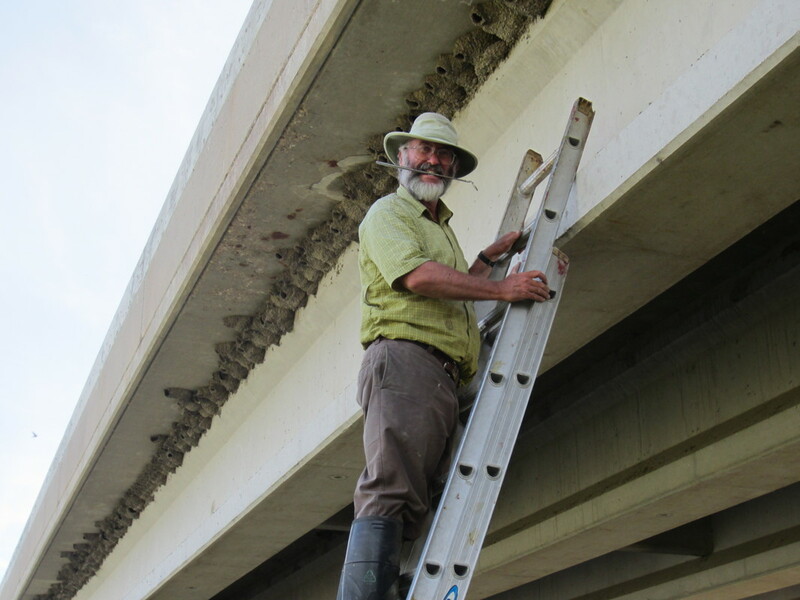 The video below shows "drop netting", in which a net is carried onto a bridge under which birds nest, dropped over the side, then pulled back up after birds flush from their nests and become entangled. In other cases, we simply set a net in front of nests and wait for cliff swallows to blunder into the net. Often the birds are so abundant that field crews don’t need to wait long before birds are caught! Much of our current work involves monitoring the nesting success of cliff swallows and counting the parasites on their nests. 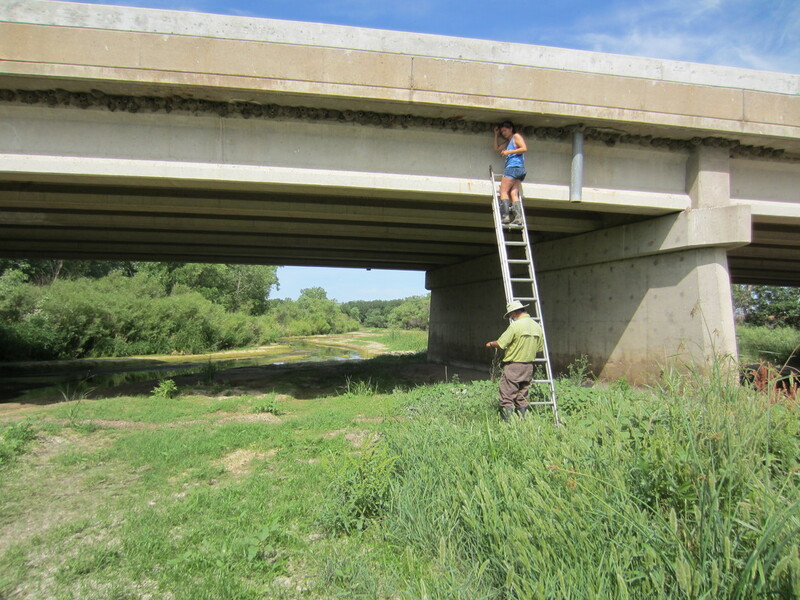 Some nests, such as those inside highway culverts, are easy to reach, but others require hanging off extension ladders above river beds. Nests often have to be visited every 3 days throughout the summer to record laying date, clutch size, hatching date, and nesting success. Sometimes it’s necessary to collect unused nests to census the swallow bugs inside them or to pick bugs off the nests for genetic analysis. 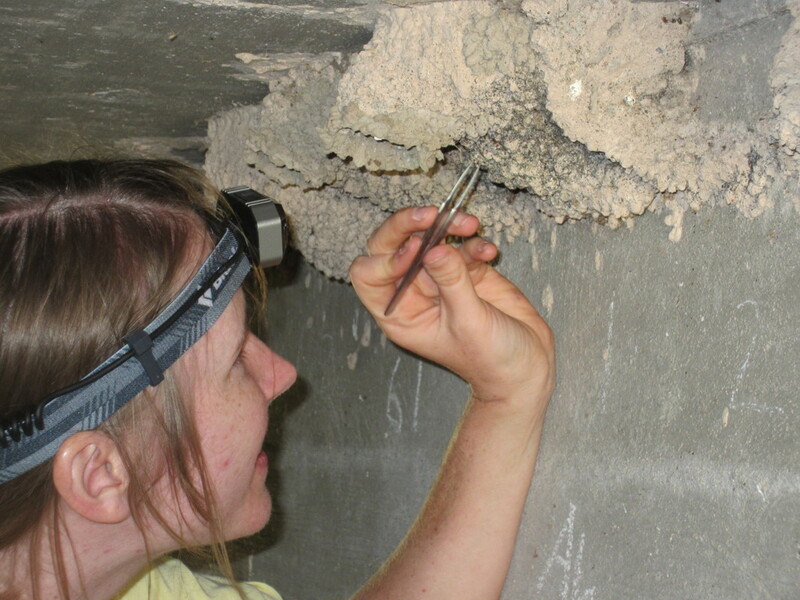 ​For over 30 years, some cliff swallow colony sites have been fumigated with an insecticide to remove parasitic swallow bugs. 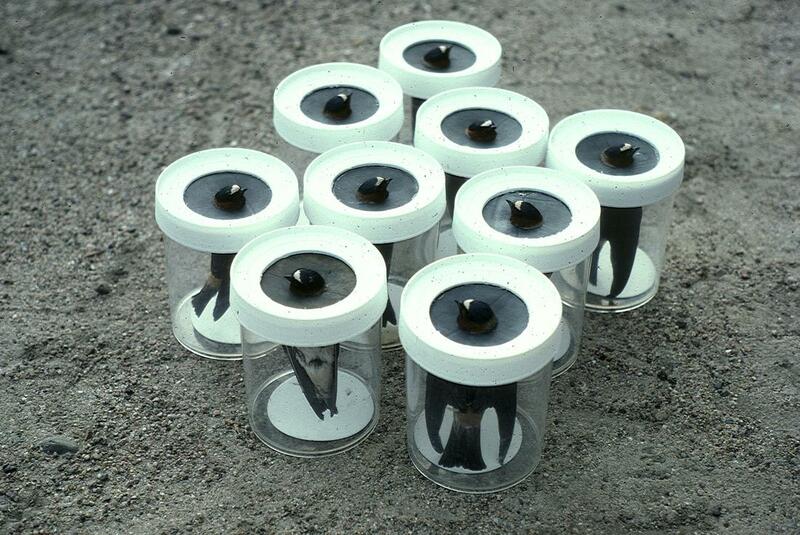 This has allowed us to study the effects of the parasites on the birds’ nesting success and social behavior. 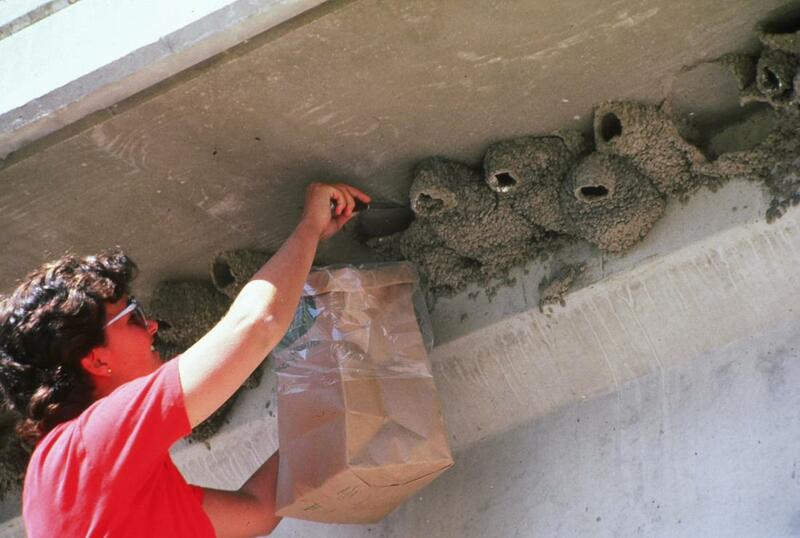 Nests are sprayed with a dilute solution of insecticide that kills bugs but does not harm cliff swallows. Early work showed that babies of the same age but raised in the presence and absence of swallow bugs in the same colony differed markedly in their growth, size, and survival. 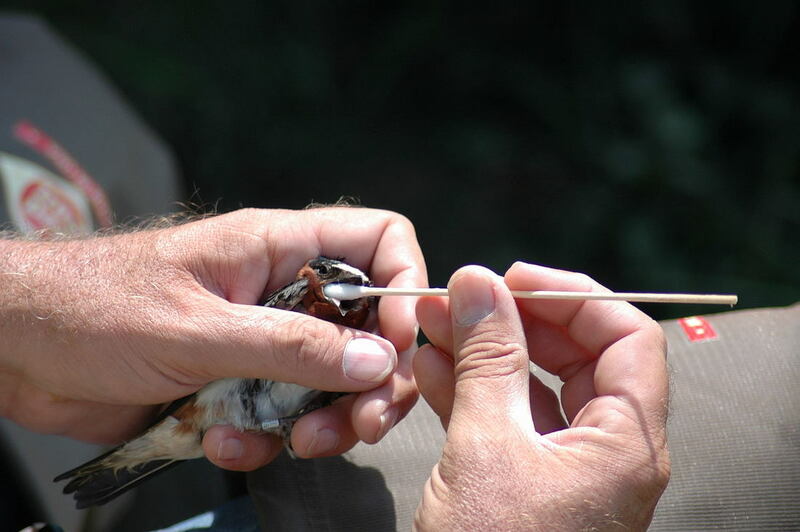 More recently, we have been studying how the presence or absence of parasites causes birds to re-nest the same year, and come back to the same site the next year.